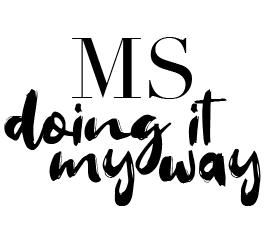 Since I was diagnosed I have tried to link up with many MS charities and organisations simply to raise awareness and get involved with the ‘MS Movement’. Early on in my diagnosis I turned to Shift.MS, an organisation set up FOR people with MS BY someone with MS. I suppose it’s a bit like Facebook for people with MS and you can meet and connect with other MSers, all over the world. It’s great for targeting the younger generation as there is a stigma that MS only affects much older people. The most common age of diagnosis is between 20 – 40; Hardly old! I did some work with them on a couple of videos 9 months after I was diagnosed which were really interesting. It’s weird (and rather cringeworthy) looking back at myself then as I can see how conflicted I was; I came across as strong but I know that the person I’m watching now was fragile and scared inside and had a long road of ups and downs to come. The people I was filming with had all had MS much longer than I had and there was a point where I started crying and had to stop filming when they were talking about wheelchairs. Shift Ms produced a series of short films ‘GALLOP’; exploring the life changing events of diagnosis and then ‘BELONG’ which looks at people in conversation discussing their different perspectives of living with MS. They then asked 6 real ‘MSers’ to share their experiences of diagnosis and discuss some of the issues raised in Gallop and Belong. BELONG by MSers – MSers talking about coming to terms with their MS. Previous PostGreatness Exits In All Of Us Next PostCreate Your Mindset With This Simple Values Exercise.